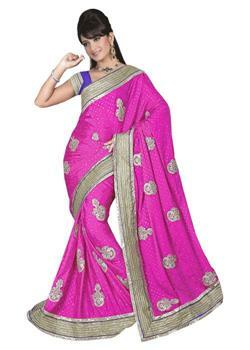 The lovely pink silk saree to endow you the most gorgeous look at any occasion. 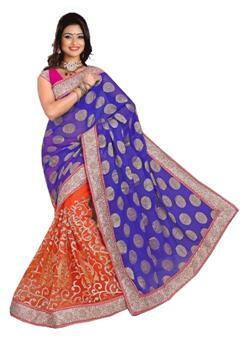 The beauty of saree is enhanced with heavy border and patches with rich embroidery, diamond and zari work. The contrast blouse fabric with same border is absolutely free with it.